Free shipping is not really free! Our competitors hide shipping in their prices. In some cases not only is this hidden, they charge you tax on the hidden shipping to make even more money on what is presented to you as "free". We strive to provide a honest price but also offer free shipping built into the price on select products that we clearly mark. Our other products show the actual price of the item and the cost to ship the item to you. This allows you to compare true cost. 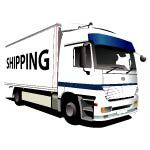 In most cases we are typically less expensive then our competitors offering free shipping.